This album almost captures Frank Sinatra's career and Christmas day for many too well: a promising start sustains for a while before sagging and eventually collapsing as disappointing reality fails to meet anticipation. 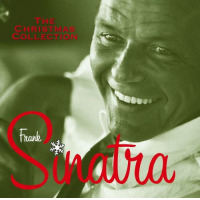 The Frank Sinatra Christmas Collection features 18 classic songs recorded between 1957 and 1991 for Reprise (a different set than his holiday compilation for Capitol). Most are from earlier albums, although there are two previously unreleased duets with Bing Crosby plus a rendition of "Silent Night" that was his final recorded carol. It's a good match for two groups: those without a Sinatra holiday album wanting a sampler rather than something from a specific era and completists seeking the new songs. The good news for undecided types is as of this review (Dec. 12, 2004), the entire album can be heard on a steaming internet connection at sinatrasongs.com. Opinions about Sinatra's holiday singing are probably broad and strong enough to start bar brawls (OK, given the occasion call it "spirited" discussions during the feast of roast beast), so I'll note my personal bias is that he's far better swinging than drowning in strings and cheesy arrangements featuring "special" guests like his family. And his early work is his best. So when fans debate whether his melancholy crooning is emotive or depressing, I lean toward the latter. And while it's OK to bring in family for a novelty-item treatment of the "12 Days Of Christmas," forcing more songs from this assembly upon listeners gets tiresome. The charm is there early on the energetic "I've Got My Love To Keep Me Warm" and taunting "Santa Claus Is Comin' To Town," the perfect tracks for elders wanting to give perspective to next-gen types listening to Harry Connick Jr. and Jamie Cullum. Even the ballad treatment of "Little Drummer Boy" is a quality straightforward arrangement with its tastefully restrained background chorus and minimal instrumentation, proving crooning doesn't mean cringing. But as the album progresses there's fewer songs like those and more like the somber and string-drenched "Have Yourself A Merry Little Christmas." The three mid-album songs with his family, including singing the lyrics of "The Bells Of Christmas" to the tune of "Greensleeves," are more likely to annoy neutral listeners than evoke the "isn't that heartwarming" remarks of fans. Worst of all is the closing "Silent Night," at the time his first studio work in more than three years. It was reportedly recorded for a children's charity project, so the fact it remained buried for more than a decade says a lot. Sinatra, then 75, is off in both pitch and cadence, and it's a terribly sad reminder of how frail he was at the end of his career. Maybe it'll serve those checking this out to hear Sinatra throughout the range of his career, especially if they want or don't mind some of those "spirited" discussions. But those selling the Chairman on next-geners might want to stop the disc before this trackor at least play it first and objectively explain itif they want to prevail. 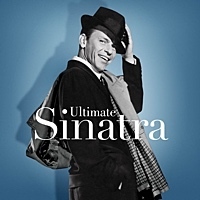 Personnel: Vocalists: Frank Sinatra, Bing Crosby, Nancy Sinatra, Tina Sinatra, Frank Sinatra Jr. and the Jimmy Joyce Singers. Performers on some older material includes Fred Waring & His Pennsylvanians and the Jimmy Joyce orchestra. Musicians on "SIlent Night" include pianist Bill Miller; guitarists Al Viola and Ron Anthony; bassists Chuck Berghofer and Jim Hughart; and percussionist Larry Bunker.